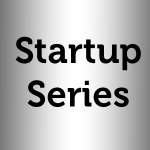 The start up series continues, following from Part1, and a fitting time to publish part two as it is global entrepreneurship week! Part two discusses how to get investors, customers and potential staff to get excited by your business. I look forward to reading your comments and questions, and I will do my best to respond.